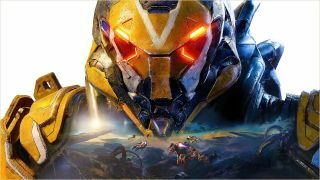 Anthem has a final release date. Update: Anthem does indeed have a release date: it's coming 22 February 2019, which EA just announced at EA Play 2018. Looks like Amazon Italy was off by just three days! Anthem's release date might've leaked ahead of EA Play 2018. As picked up by GameSpot, Amazon Italy has pegged the long-awaited BioWare online shooter/RPG hybrid for 19 February 2019, which will be a Tuesday. That's typically the day big publisher games are released in the US, although usually for European releases they come out on Fridays. We knew Anthem was coming at some point in early 2019. It's possible this is just an early estimate from Amazon, but either way, we're almost certainly going to find out the real date within the next few hours. We'll update this story when we know more.